Not regularly checking your Electrics can potentially cause damages in your home, there has been studies shown that over 50,000 homes in the UK have been damaged by electrical within the last year. Knowing when and why you need your Electrical Wiring changed can save you a lot of money, time and is some cases your life. In this week’s article our team are discussing the 5 signs that you need to replace your electrical wiring. Like mentioned before, it is important that you regularly check your electrics, not only because it would keep your safe, but it updates your home, saving you much more money on replacing your electrical wiring int he future. For more on the 5 signs that you needs to replace your electrical wiring, read on! Extensions nowadays are installed within the walls, to put less pressure on the extensions, whilst keeping everything in your home compact and neat. With electrical wires every were and looking messy, it increases the chances of people tripping over in your home, and it also increases the cords of being damaged, making them less efficient. People assume that when lights start to flicker in their home, it’s because there is an issue with the lightbulb. It some cases this is true, however there can be far more difficult issues which need to be addressed. Electrical appliances that use a lot of heat, tend to take the most power. We suggest you contact your local Electrician in Bedford for professional advice, or to ask them to fix the problem for you. Sparking is one of the most dangerous and obvious things you should notice when its’ about time to change your Electrical Wiring. When you start to notice that your Electrical appliances are starting to spark, this could be due to damage to the actual fixture. 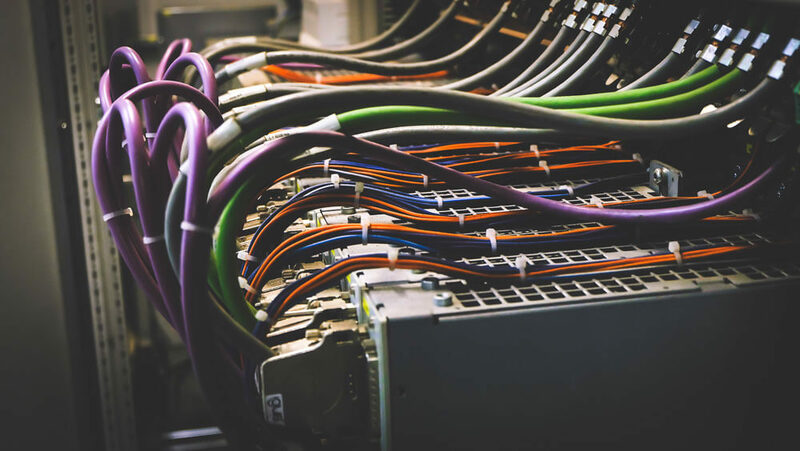 When contacting an Electrical Contractor in Milton Keynes, the assessor can conclude where the issue is coming from and what they will do to rectify the issues. When you notice the switches from your appliances starting to discolour, this is when you have a dangerous problem on your hands. Although the switch its self can be replaced quite easily, in some cases, there is a much bigger and deeper issue that needs to be looked at by an expert. If the amp within the circuit is too high,the it is likely that your fuse will start to break. This is due to the overheating of the appliance, if you notice that your switch does not work or has broken, then it is likely that your fuse has broken. We suggest you do not try and fix the situation yourself, seek professional helpful from a qualified Electrician within your local area. What to do When You Notice These Problems? If you spot any of the issues stated above about Electrical Wiring problems within your home, the first thing we would suggest homeowners to do is seek professional guidance from their local Electrician. Especially for those who have young children in their home, it is far safer to get the issue sorted out straight away rather than hoping it will disappear on its own. We always suggest it is better to stay, no matter how big or small the issue may be. We hope that our article this week has been helpful for you to notice when your Electrical Wiring needs changing in your home. If you have any questions regarding our services, feel free to get in contact today!